M.R. 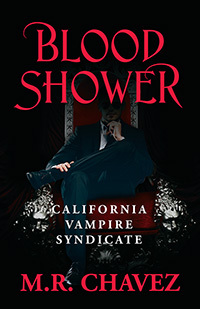 Chavez’s “Blood Shower.” A former Marine Corps sniper, disillusioned and high-strung, becomes employed as a highly-paid private security contractor in the California mountains. Then, his fears become a reality with a spreading virus, no electricity, no internet, no phone. Not even his military training has prepared him for this gruesome battle in a post-apocalyptic war zone.